Movement for Economic Emancipation (MEE) president Given Chansa says local people must benefit from mineral wealth in the country. Chansa, in a statement following the discovery of an emerald crystal at Gemfields Mine in Lufwanyama estimated to be worth £2 million, stated that people in mineral wealth areas have not benefited anything. He stated that it was now time that the Zambian people should have a stake in the local economy. “People in Lufwanyama should be able to directly benefit from the emerald wealth in the same way that the people in Mansa should directly benefit from the very valuable Manganese being mined there.The Movement for Economic Emancipation (MEE) makes no apology of th e fact that it is now about time Zambians were really empowered to take a real stake in the economy of the country,” Chansa stated. He stated that a lot of emerald carats were produced by Gemfields mines yet people did not benefit. 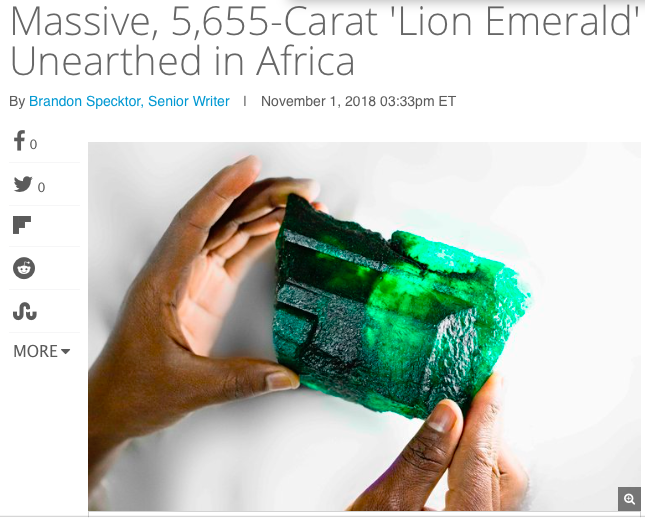 “Early this month, a 5,655-carat emerald crystal was unearthed at the world’s largest producer of green stones at its Gemfields Mines in Lufwanyama and the locals may not even be aware of this development,” stated Chansa.